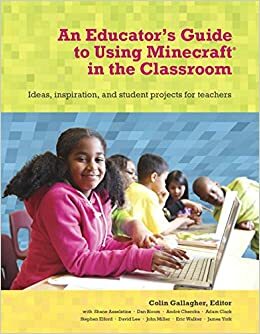 It seems that this school year I’m getting excited about one thing. Portfolios. This year marks our first full year using the Google Apps platform. Every student in Grades 3 to 5 will use the Google platform for pretty much everything they do, presentations, write-ups, and also an e-portfolio for the first time in our school. 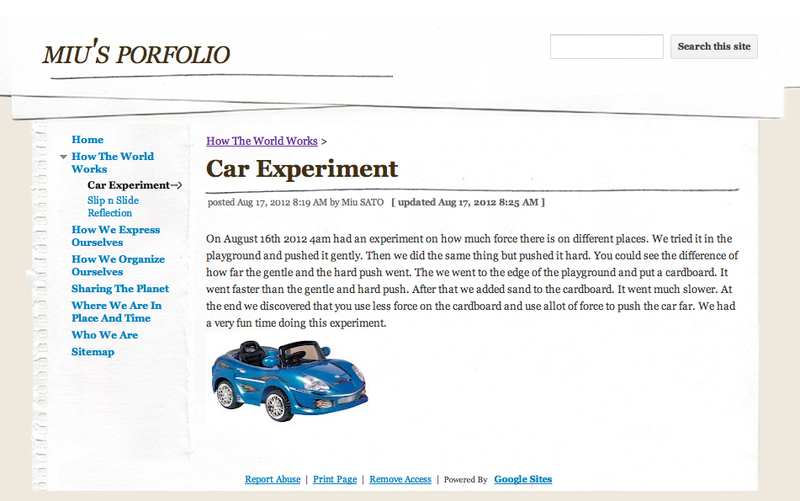 Google Sites makes perfect sense when students will be using Google Docs for a lot of their written pieces in class. It also, obviously, embeds any sort of online work done in sites like Prezi, Bitstrips, or Timetoast. It’s an exercise and experience in organization and dealing with online and multimedia files to create one online area of their work. In the initial first couple of weeks, I put a couple of classes through the ringer by creating their own pages from scratch. Other classes I had them use a template I already created that they could use. Thanks to @eggzy for the inspiration. 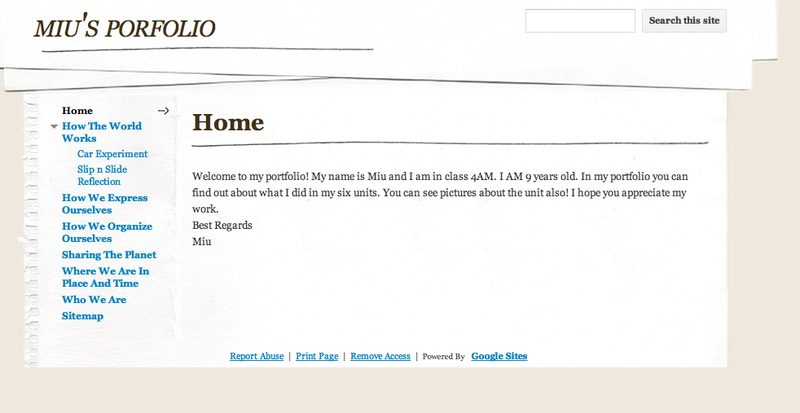 Our template is based on a home page and 6 pages; one for each Unit Of Inquiry. So as you can see it’s pretty basic but a simple platform to start off on. Each unit page is an “Announcement” page template, and the Home page is only a “Web Page” page template. We are in the early stages and in no way is it going to replace our paper portfolios this year but as the year goes on and as we naturally use online applications for summative assessments, teachers and students will see how cool everything looks embedded into one online area. The home page serves as a simple welcome and introduction. From Grade 4. Grade 4’s first unit is How The World Works and they have composed two reflections so far. At the end of the unit they will be creating a biography on Isaac Newton in Google Docs which they will easily embed into another “Post” under the How The World Works page. One thing I’m looking into urgently is an online photo storage website for our teachers to upload photos from class and for student to grab from when needed. Flickr seems to be the best option so far. 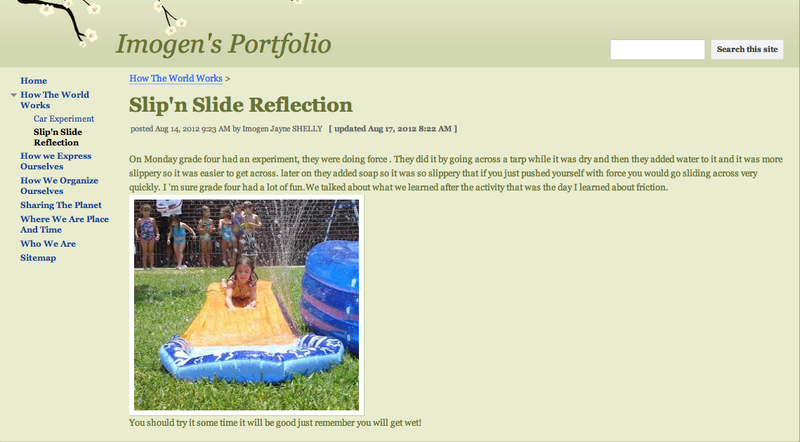 In Grade 5 we got around to adding a photo on the home page, which is a fun addition to the portfolio and a good activity to undertake at the start of this process to learn how to get images into their blog (I didn’t tell them how to do it, they had to figure it out!). In Grade 5, we are using Timetoast to create timelines of our lives so it’s our first foray into embedding HTML code into the portfolios. They did a great job, and even went so far as editing the HTML code to change the dimensions of the embedded flash file. An example of learning code when they actually see the need to! In Grade 3 for their summative assessment they will be creating Bitstrips cartoons so they will also be embedding those into their portfolios. Hopefully by October break each grade will have a record of some activities in their first unit online. Watch this space for when we finally get our iPads delivered for our Kindergarten classes and we start using Voicethread for their digital portfolios.